Android multimedia has advanced by leaps and bounds over the last few decades. Even 20 years back, a touchscreen mobile phone and an internet connection were luxuries which only the rich could afford. However, as technology advanced, these things became cheaper and cheaper. Now step out of your house, and you will find few people without access to both of them. Mobile phones and internet have both become cheap, and with that, the demand for quality apps and 3D Games for Android has increased. Previously, 2D games like angry birds and card games like solitaire were the only options which people knew as “android games”. However, now the internet is a depot of thousands of addicting games with amazing graphics and features. Some feature mind-blowing strategy, while others have almost real life like graphics. But as of now, mobile phones with 3D screens are yet to arrive in the market, though some companies have already developed prototypes. So in this article, I have listed a few 3D games for Android which are really worthwhile checking out. Hereby I have listed the 3d games with a short intro and a link for each. The craze of the moment, PUBG has already conquered the online multiplayer computer gaming market. The Android version was launched in March, and it has already received more than 1 million downloads. Falling under the action genre, this game drops you on a small island along with 99 other players. This game truly depicts the fight for survival as you team up or fight solo to scavenge whatever resources you get on the battlefield. With passing time the battlefield shrinks, forcing you to fight against everyone else and become the last man standing. Second, on our list, this game also falls under the action genre. Play as Kal Wardin, as you team up with your assistant to become the last standing hope for humanity against aliens. This 3D game for Android features extensive online and offline modes. Play the story, shadow or special ops mode in the offline version. While online, team up or play solo to fight and win against other human players. This game features heavy graphics along with mind-blowing gameplay features. Check out NOVA Legacy here. 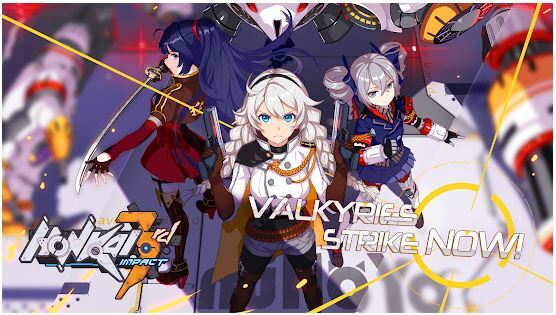 Honkai Impact 3, a 3d RPG game, puts you in command of a mighty battleship, where you command a group of Valkyries. You and your team have to save the world from the catastrophe called honkai. The game developers have taken extra pain to deliver 360-degree camera views, stunning artworks, spectacular special effects, and a live weather system. In-game features include unique combat systems, hundreds of weapons to choose from, and beautiful teamwork. Click here to get Honkai Impact 3rd. This 3d Android game belongs to the role-playing genre. Play as superheroes from the Marvel universe like Captain America, Ironman, Hulk, Loki, Dr. Strange and others to defend the Earth from an all new and powerful threat. As the game progresses, upgrade your heroes to make them stronger. The strategy is important because different combinations of superheroes lead to different outcomes in battles. The game packs in stunning visual effects in combats which makes the characters look close to real life. Falling under the sports genre, this 3d Android game truly is a game for cricket lovers. It has not left any feature related to the modern cricket world out. A brand new game engine developed from scratch powers it. The graphics really kills it. It allows you to focus on the fine details of the venues and the players. The game features various camera angles and TV style viewing. Other features like DRS, third umpire, and authentic kits are also special features of this game. Click here to get Real Cricket 18. Check out more Cricket Games for Android. This 2018 Android 3D game falls under the action genre and is truly noteworthy. Sail the seas as a pirate. Fight, raid, collect ransoms and hunt treasures to become the ultimate king of the seas. This game features 20 ship types with unlimited fleet size and ability to control all ships in battle. Develop your character and unlock new features as the story progresses. Explore a vast map with hundreds of places to discover. You can also battle other players in the online multiplayer mode. Check out The Pirate: Caribbean Hunt here. Featuring realistic 3D graphics and beautiful effect, this action-packed 3d game for Android puts you in the pilot seat of the most powerful combat helicopters. Use your tactical skills and strategy to slay the most dangerous terrorists round the world. The game also allows you to choose from a huge range of attack choppers, each with its own special features. Fight in more than 40 battles before fighting against the boss. 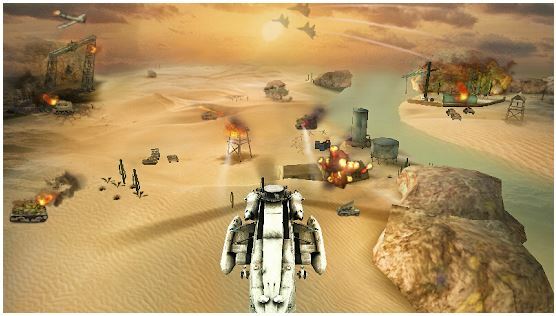 Get Gunship Strike 3D here. One of the best 3d FPS shooter games, this game puts you in control of a powerful sniper. Use you aiming skills in different scenarios to play in various beautiful scenes with lots of dangerous weapons to choose from. The game features realistic 3D graphics and good animations. Easy controls and ability to play the game offline also makes it a memorable experience. Click here to get Sniper 3D Gun Shooter. This game is popular because of its simplicity and perfection. Become a hunter as you are tasked with shooting wild animals both while on foot and while in moving vehicles. Use powerful guns to hunt and trap dangerous wild beasts like elephants, lions and bears. You might also have to chase the animal to hunt it down. Complete over more than 200 missions using real life weapons and upgrades. This game also features good sound effects along with stunning graphics. 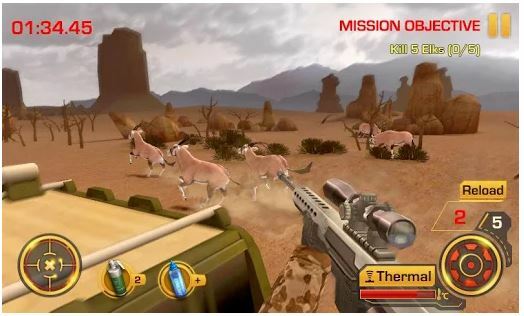 Get Wild Hunters 3D here. The last free Android 3d game on our list, this racing game puts you in the driving seat as you race through busy metropolitan cities to become the king of the road. Realistic feature like real tracks, cars and traffic makes the game immersive. Offline modes include career mode, elimination matches, time trails and 1v1. Race with other players in the online version. Super easy controls and Beautiful graphics make the game a memorable experience. Check out CityRacing 3D here. Based on the above article, here is a list of all free 3D Games for Android. Here I have listed only 10 3D games. There are thousands more in the Google Play Store, and hundreds more are added daily. These games belong to every possible genre you can think of. However, if I speak honestly, then it is better not to get too much addicted to these games, which can easily happen. Also spending too much screen time on a small bright screen of a smartphone can cause problems like a headache or strain in the eyes. Instead, try to do something creative in your free time. I hope you found my article interesting. Do not forget to comment! !